The recently-acknowledged death of Taliban leader Mullah Muhammad Omar has prompted a raft of commentary on what this means for the movement, particularly in relation to its ability and willingness to continue engaging in peace talks. But how much can we reasonably know about how the Taliban will move forward, particularly when so much hinges on how the leadership transition unfolds? At the time of writing, both the rationale for not immediately reporting Omar’s death, and the implications of this delay for the leadership transition process, remain unclear. Although some reports claim Omar died two years ago, the Taliban’s statement on his passing suggests it was more recent. 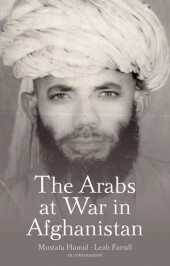 Their claim that Omar lived in Afghanistan for fourteen years would place his death sometime after late May this year (using Hijri calendar approximations), given that this date corresponds to the beginning of the American invasion of Afghanistan in 2001. If the statement more specifically references the date on which Mullah Omar ordered an evacuation of Kandahar in late 2001, the time frame of his death edges closer to the first week of July 2015. This would mean Omar could conceivably have approved or authored his last Eid message, as these typically have a long lead-time and involve input from a range of figures. We may never know why Omar’s death was not immediately announced, or how the decision to delay was received within the group. In retrospect, it seems clear that the Taliban’s decision to transfer authority for internal and external political affairs to the Political Office may have been driven in part by Omar’s illness, and by the desire to formalise an authority structure (which was not a new initiative but may have taken on greater urgency as leadership instability loomed). What we do know is that the Taliban’s political apparatus has gone into overdrive since Omar’s death was acknowledged, producing a spate of statements and audio-visual materials designed to counteract what it clearly perceives as damaging rumours about how the leadership transition is being handled. Statements released by the group show that it is concerned about perceptions of cohesion and unity, not only within the rank and file but also among a younger generation of field commanders who are growing in influence. How empowered they feel to shape the movement or to remain within its ranks will be key in determining how the group fares during this time of transition and challenge. Maintaining appeal for this younger generation may go some way towards explaining the appointment of Sirajuddin Haqqani as Deputy Leader. Preserving and growing the narrative that the Taliban is incorruptible and operates in the service of the Afghan people, unlike the Afghan government (a key element in the ability of the group to gain and maintain local level support), will also be key to keeping the rank and file in check, growing its influence, and pushing back against ISIS. But for now stability is paramount. As the Taliban’s history tells us, disagreement and discord will be kept out of public view wherever possible. The release of a letter by Mullah Abdul Qayyum Zakir of the Taliban Leadership Council disputing claims that he and others challenged the leadership process is therefore particularly noteworthy. Perhaps most significant of all, however, is the release of a rare statement by an elder of the Afghan Jihad, Jalaluddin Haqqani, one of the most influential figures in the milieu and a staunch Taliban ally, whose son Sirajuddin was elected as Deputy to the newly appointed Leader, Mullah Akhtar Muhammad Mansur. Haqqani’s support has long been crucial to the Taliban’s survival. In fact, his decision to allow the Taliban access to territory under his control in the early 1990s, rather than ordering his mujahidin to fight its forces, was key to the group’s survival and expansion. His sanction now, and the influence of his son as a new Deputy, may well prove crucial to the Taliban’s fortunes. In his statement, Haqqani was careful to stress his view that new leader Mullah Mansur was appointed in a legitimate manner and was suitable for the position, calling on junior and senior figures to pledge their allegiance and obey their new leader. Haqqani also gave reassurances that his mujahidin would obey Mansur as they had Omar before him, and pointedly recommended to ‘all members of the Islamic Emirate’ that they should ‘maintain their internal unity and discipline’ because the defeat of the enemy (the Afghan government) was near. There was no mention in Haqqani’s statement of peace talks. His reference to the defeat of the enemy may be a sign that he, and perhaps by extension his son Sirajuddin, are positioning themselves against future peace talks. Managing this tension within the Taliban will be a key challenge for unity and cohesion. But if need be, the Taliban can afford to step back from talks; its strength is growing rather than weakening. It may be pressured to do so by field commanders whose own positions are growing stronger. The leadership transition process may therefore see the Taliban’s participation in peace talks scaled back as it turns its attention towards negotiating, maintaining and consolidating unity and cohesion both in its ranks and with its allies. Agreement on the peace process was always going to be difficult and, with Mullah Omar’s death and a newly appointed leader, it has potentially been made more so. Yet it may well be that because of this difficulty we will come to know more about Mullah Omar’s death. If Omar was, in fact, alive and did approve his last Eid message, which outlined precedent and legitimacy for peaceful interaction and talks as well as the establishment of a Political Office, the Taliban will have an interest in revealing this, as a means of legitimating further engagement in peace talks. A version of this article originally appeared on the Hurst Publishers blog. Featured image: Mountain ranges in Sar-e Pol, Afghanistan. U.S. Geological Survey. Public domain via USGS Flickr. Leah Farrall was formerly a senior counterterrorism analyst with the Australian Federal Police, before turning to academia. She is the co-author, with Mustafa Hamid, one of the first Arabs to join the Afghan jihad against the Soviets, of The Arabs at War in Afghanistan. On Twitter: @allthingsct.